Mark's POV novella I have lost the man I once was, letting guilt and heartache define who I am. Darkness has controlled me, and one woman has seen what no one else has seen in me, what I do not wish to exist. My hunger for her has driven me to the edge of sanity, but no more. She's about to find out that the Master has returned. (Alice in Wonderland, Austin Powers, Must Love Dogs) for cable TV. In addition, her Tall, Dark and Deadly series and The Secret Life of Amy Bensen series, both spent several months on a combination of the NY Times and USA Today and USA Today lists. 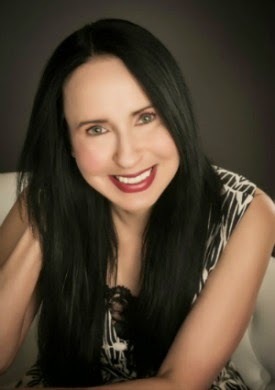 Since beginning her publishing career in 2007, Lisa has published more than 40 books translated around the world. Booklist says that Jones suspense truly sizzles with an energy similar to FBI tales with a paranormal twist by Julie Garwood or Suzanne Brockmann. Prior to publishing, Lisa owned multi-state staffing agency that was recognized many times by The Austin Business Journal and also praised by Dallas Women Magazine. In 1998 LRJ was listed as the #7 growing women owned business in Entrepreneur Magazine. Lisa loves to hear from her readers. You can reach her at www.lisareneejones.com and she is active on twitter and facebook daily.